Happy Friday!! It has been a pretty lovely week around here, and I'm so excited for the weekend! There are more birthday festivities to be had, some sleeping in (just kidding, I'm a mom and that doesn't exist), fresh squeezed apple juice, and coffee on coffee on coffee! 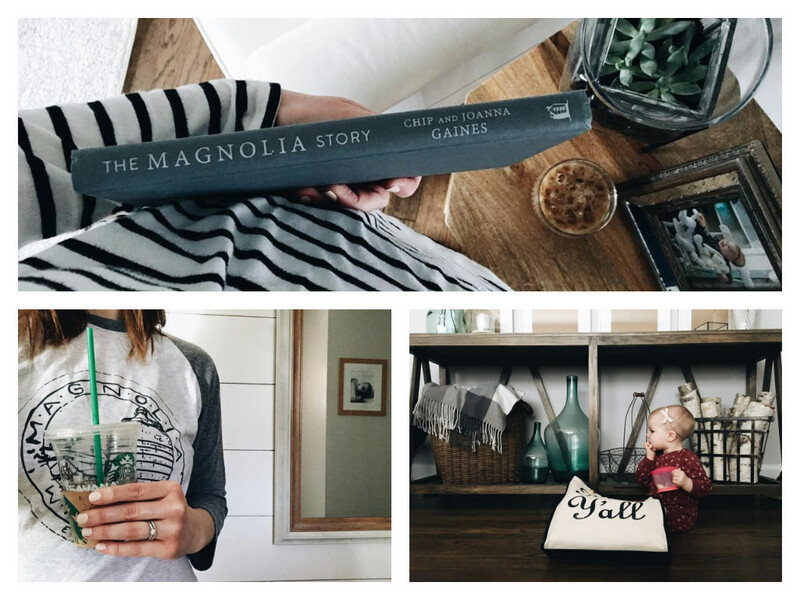 It's been forever and a day since I shared a Friday Favorites post. And since I have a whole list of new favorites, I wanted to share them with you today. I have fallen so hard for these glass tumblers. In fact, I have not one, but two of them. I love the Tahoe Khaki and the Sarcelle Teal. They're beautiful, don't condense all over the place, and perfect for any type of beverage. With mine, you can typically find water in one and iced coffee in the other. The Magnolia Story has been such a good and inspiring read for me. Some of my dreams line up with those Joanna shares in the book, and I find it encouraging to read about someone who started from scratch and had success. Bows, bows, and more bows! I love when Greer will wear a sweet bow in hair (these days it's a bit of a challenge, though). And I'm so excited for some spring florals. Currently, I'm still having a moment with all things velvet, making this set of bows perfection for springtime. I'm burning a different Twine & Cotton candle every day. I'm so smitten with our classic scents. They are perfect at this time of year when there is no holiday or particular season to be festive with. Light pink nail polishes like these! What's your favorite nail polish for this time of year? I've got a mani/pedi tomorrow, and I would love to know some of your nail polish favorites!